This year’s legislative session has concluded, and with the help of our many coalition partners and friends TQEE had great success advancing our legislative priorities. Below is a short wrap up. Please share with your colleagues and friends who may be interested, and be sure to sign up to join TQEE if you haven’t already, to ensure you continue to get news and information about our work. By the way, here’s a link to our original legislative agenda in case you’d like to refer to it. Oppose any legislation that would erode the VPK program or its current funding stream. Our top priority for this session was to defend Voluntary Pre-K from any efforts to diminish funding or negatively impact the program, and we succeeded. In particular we locked down subcommittee votes to prevent the reintroduction of a measure proposed and defeated last year that would have allowed school districts to use VPK funds for K-2 innovations. While we support opportunities for K-2 innovations, we opposed this effort on the grounds that it would fund those innovations by siphoning funding from VPK. Support administrative initiatives being implemented in response to the Pre-k Quality Act of 2016. We applaud the work of TDOE, specifically the Office of Early Learning, and the steps they have taken to strengthen VPK quality. TQEE’s role here has been informing policy makers of the transformational work that’s being led by the TDOE, and to make clear the continued need to concentrate investments on improving VPK quality. Here’s a piece we published and actively circulated to legislators about those quality improvements. Support TDOE-directed study, in conjunction with Vanderbilt University, to assess instructional quality Pre-k through 2nd grade and prepare recommendations for strengthening it. Early Grades Teacher Assignment study will explore the frequency and consequences of principals assigning low-performing teachers to early grades Pre-K through 2nd grade. 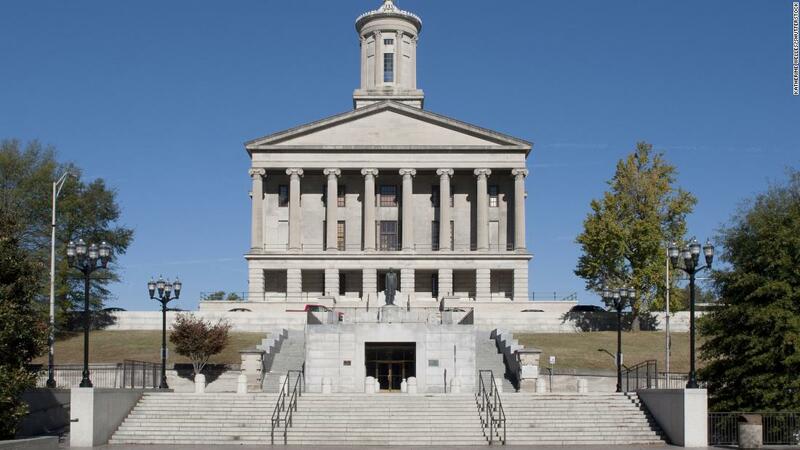 This study is expected to conclude with findings by early fall 2018, in time to inform policy solutions for the 2019 legislative session. Early Grades Instruction Continuous Improvement will examine Pre-k through 2nd grade instruction to better understand what instructional shifts are needed to improve the quality of K-2nd grade such that schools can “sustain and accelerate the gains” made in Pre-K. Preliminary findings are expected late fall 2018, in time to inform policy solutions for the 2019 legislative session. Advance legislation that supports TDOE in piloting best practices models, like APTT (Academic Parent-Teacher Teams), that strengthen parent engagement in their child’s teaching and learning Pre-k through 2nd grade. TQEE advanced legislation with the support of sponsors Rep. Eddie Smith and Sen. Joey Hensley to pilot a parent-teacher conference model in the early grades based on a program known as APTT (Academic Parent-Teacher Teams). The bill passed, and TDOE will launch the pilot in fall 2018 in three schools across the state. The legislation requires the pilot to continue for three years with annual reports to the legislature. Our hope is that this will provide a breakthrough model for better engagement of parents in their child’s learning in and out of school. Advance legislation that prioritizes early prevention and intervention programs for young, opioid-affected children. Governor Haslam proposed and the legislature passed a package of bills to address the opioid epidemic in Tennessee. 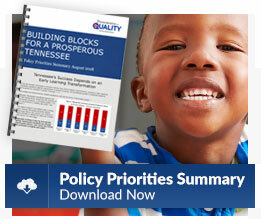 TQEE sought added focus on opioid-affected families and children, and teamed up with the Home Visiting Leadership Alliance, Tennessee Commission on Children and Youth, Save the Children Action Network, Children’s Hospital Alliance, and Prevent Child Abuse Tennessee, to successfully advocate for a budget amendment that resulted in an additional $1.4 million in recurring funds to the Department of Health’s home visiting budget. Special thanks to Senators Steve Dickerson and Becky Massey, and Representative Ryan Williams, for their leadership. Early home visiting is a critical evidence-based strategy for strengthening parenting skills and supporting at-risk babies and toddlers. We’d also like to give a special shout-out to our fabulous team members from Johnson Poss Kirby – Holly Salmons and Luke Ashley. They’re excellent at what they do and incredibly dedicated to our goals. In fact, Holly is on her way to become an early childhood expert, having just given birth to her first child! Congratulations Holly! Thanks again to everyone involved in moving this agenda to successful conclusion this year.